App Monetization Is Poised for Tremendous Growth. See the Opportunity for Publishers Through 2020. Why the global revenue opportunity for mobile app publishers is forecast to grow to $189 billion by 2020. The two key factors driving advertising revenue’s explosive growth. How advertising will fuel revenue for apps and games to consistently climb in the years to come. The countries leading for revenue growth. 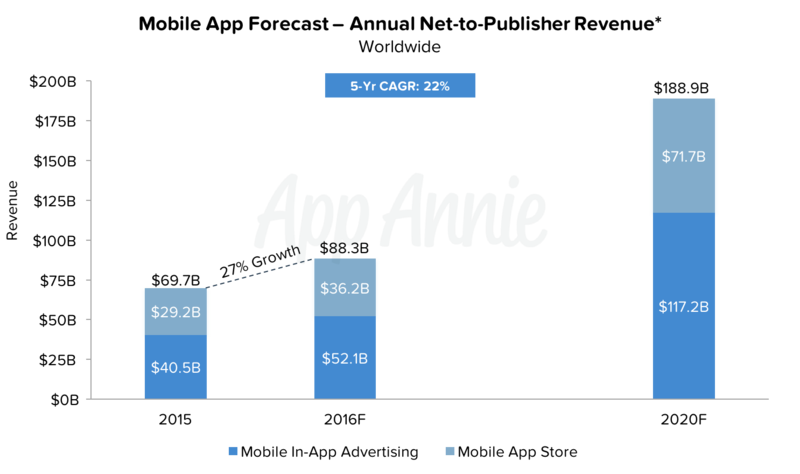 While China is driving more revenue growth in the app stores than the US right now, the US is expected to retain its market leadership.